We have had an enjoyable and a little bit of a windy weekend here at Notts off road, Ophelia didn't keep us down ! 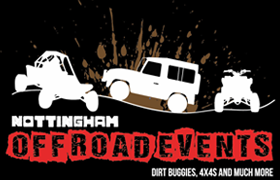 We had a interesting stag group in who, after enjoying stag antics the night before, took part in our 4x4 GPS challenge and dirt buggy time trials. A couple of the group suffered horrendous 'motion sickness' but our fabulous staff were on hand to assist and stop whenever needed. After having their session they enjoyed cheeseburger and chips in our cafe and went on their way for stag antics part 2 ! We have a special offer running this October. 60 min 4x4 driving for just £49 ! Call us on 0115 9539865 to book quoting the October offer.